After years of speculations, Honda is finally taking the first steps in offering a successor for the very prominent NSX supercar with its first concept version revealed at the 2012 Detroit Auto Show. The company has promised that a production version will follow in the next three years and will be manufactured at the company’s plant in Ohio. 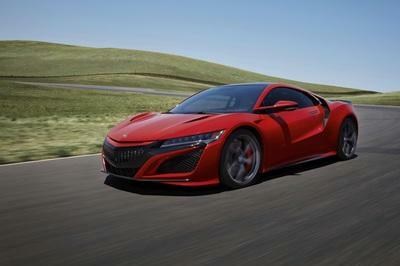 Not only does the concept revealed in Detroit preview the future NSX supercar, it also presents the first application of Acura’s innovative new Sport Hybrid SH-AWD (Super Handling All Wheel Drive) system. This system combines a unique 2 Electric Motor Drive Unit with a bilateral torque adjustable control system that allows the car to instantly generate negative or positive torque to the front wheels during cornering. The company then throws in their next generation VTEC 3.5-liter V6 with direct-injection and a dual clutch transmission with built-in electric motor. "This Sport Hybrid SH-AWD system will make NSX the ultimate expression of Acura’s idea to create synergy between man and machine," said Takanobu Ito, president and CEO of Honda Motor Co., Ltd. "The NSX will make the driver one with the car to enhance dynamic driving abilities without getting in the way." "Like the first NSX, we will again express high performance through engineering efficiency," added Ito, who led the development of Acura’s first NSX supercar. "In this new era, even as we focus on the fun to drive spirit of the NSX, I think a supercar must respond positively to environmental responsibilities." Updated 04/06/2012: The new NSX Concept has also been presented at the New York Auto Show and we were just there to shot a few more pictures of it. Found them in the picture gallery section. Updated 04/25/2012: While until now we have seen the new Acura NSX sports car in a gray exterior paint, for the Beijing Auto Show the NSX has dressed a very cool red paint. @Veyron101 Acura together with Honda has best NSX models, and both have capabilities and qualities to become the next super car. All they have to do is to stick to their plan and get the race on, if ever both reach production. I’m presuming that its sales will sail well, and this car may become the superstar of the road. I totally appreciate this new sport hybrid NSX. Many have been talking to this model but right now, believe it or not lots of those people been stunned by just seeing this supercar concept. I can’t wait to finally drive this one in real. This car looks like the silver surfer. The headlights are perfectly matched with the body work and I really like the mirror smooth finish of the roof. The concept was quite good. The headlamps were fascinating as well as the exterior. The wheels are greatly detailed. I was impressed with the back-lights. The silver color of the car makes it more futuristic. The Sport Hybrid SH-AWD system creates the idea of connecting the driver and the engine of the car. I think the whole concept is being prepared for the longest time due to its impressive designs. I’m really impressed on the exterior looks. I’m quite sad that this is just a concept and will not be released in the market and will be a long wait enough to produced. The collaboration between Honda and Acura seems nice, especially it was hybrid. It’s very metallic and silver gray. The headlight is cooler than I thought. It has a nice hood. The Acura NSX is a vehicle inspired from outer space? The concept was good. The headlights was fascinating. Very stunning exterior! Its tinted-like roof, plus the wheels, bumpers, curves and designs are perfect. Very futuristic looking concept. I love the tinted-like roof of this Acura. But most specially, this car is a head turner for its amazing exterior detailing. Whew! I am really excited on its debut, I won’t accept that will be just a concept only. I love the body paint of this car. Its getting into a more classy looks. I think the whole concept is being prepared for the longest period of time due to its outstanding designs. I am really impressed on the exterior looks. I’m quite sad that this is just a concept and couldn’t be released in the market. The Acura NSX Concept is very elegant and sophisticated with a spectacular speed. This would be the best concept. I’m really impressed with the futuristic exterior design. The whole concept is being prepared for the longest time due to its very shiny and elegant style that truly captured one’s attention. The wheels are very striking. The whole design of this model impressed me most. A futuristic car on its looks. This is way too futuristic on its looks. That wheels are really stunning, the front design is something cool, and the I just love the whole package of this Acura. 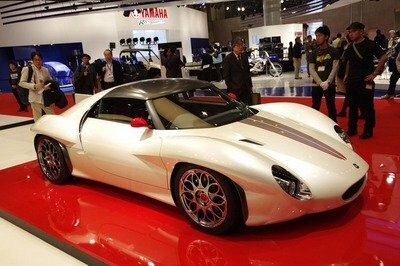 Too bad for this is only a concept car. This acura is simply stunning i first saw it at the detroit auto show. 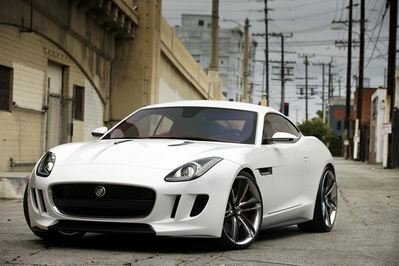 I would love to see this go into production because its just simply a stunning car. This would be a big step forward for acura. This concept is really stunning! I love its exterior design; the sleek bosy paint is outstanding, the wheels are amazing and unique. Just too bad because this is a hybrid car, which i find uunreliable in the street. What a perfect concept! I am really impressed on its exterior looks! Look at that body sleek, truly amazing. 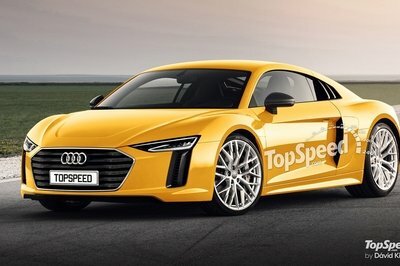 Too bad that this is just a concept and it’ll be having a hybrid engine. Impressive. An automobile with a system that has been combined with Acura’s next V6 generation engine and a dual clutch transmission with built-in electric motor. This concept is very promising. I would surely watch out for this one.